This article is part of our special report The future of fertilisers in Europe. We live in fascinating times where technology is evolving at an ever-increasing pace, spurring major shifts in many industries. This is also the case for the fertiliser sector, writes Jacob Hansen. Jacob Hansen is the director general of Fertilisers Europe. Fertilisers Europe’s Vision aims at answering the question of how to supply enough nutrients for plants to feed a growing global population in a more energy and environmentally efficient way while helping the EU tackle other challenges such as meeting growing demand for cleaner energy and better use of resources. 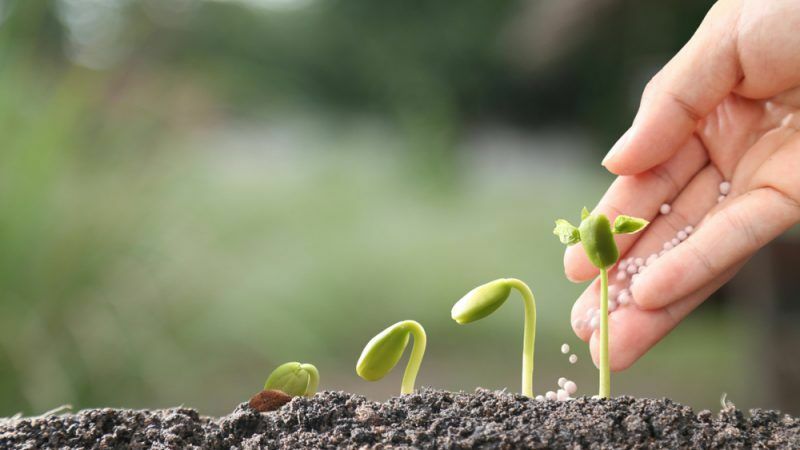 Looking into the future of agriculture in general and the fertiliser industry in particular, we see the challenges of a productive and sustainable future food production, and we see the challenges involved in Europe’s ambition to decarbonise the economy and promote the circular economy. The European mineral fertiliser industry will be at the crossroads where these two challenges meet. Our vision “Feeding Life 2030” highlights how the fertiliser sector can contribute to addressing these challenges. Meeting future food needs remains a challenge. Today, fertilisers help feed almost 50% of the global population, yet some 10% of the global population remains undernourished. Meanwhile, the UN estimates that the world’s population will continue to grow, reaching 8.6 billion by 2030 (up from 7.6 billion today). In other words, we need to find a way to feed an extra Germany every year. In Europe, while the undernourishment is not a major concern, a more sustainable production of food certainly is. In order to provide European consumers with high quality, nutritious, diverse and sustainably-produced food, the highest quality plant nutrients are required. The principal question is, therefore, how can we supply enough nutrients for plants to feed a growing global population in a more energy and environmentally efficient way? ‘Applying more knowledge per hectare’ should be the mantra for the future of farming in Europe. Better fertiliser products precisely targeted to the specific crop combined with new tools and real-time data open a new range of possibilities. The application of knowledge is likely to improve the quality of yields and provide farmers with a decent return on investments. It will also have a very positive effect on the environment, as better and more targeted fertilisation will increase the growth of plants and thereby diminish losses to the environment. The Vision also foresees that professional farmers and growers will become even more knowledgeable and demanding in terms of nutrient input by 2030. Farmers in 2030 are expected to focus increasingly on nutrient use efficiency, in order to produce sustainably and profitably by optimising overall application thus increasing yields. To do this, farmers will rely more profoundly on professional advice, planning and new tools as well as technology that will allow them to apply fertilizer where it is required when it is required and in the exact amount that is needed. Europe has the ambition to lead the global battle against climate change. As the EU progresses towards decarbonising its energy supply and relying more on renewable energy, such as wind and solar power and the production of hydrogen, the question of hydrogen storage becomes more pressing. In our vision, the nitrogen fertiliser industry, as a producer of ammonia, offers the key to unlocking clean energy potential by acting as a carbon-free energy carrier. It is the missing link in making decarbonisation a reality. Fertiliser industry will also continue to play an important role in incentivising the industrial symbiosis in Europe and promoting the principles of circular economy and resource efficiency. The report offers a forward-looking and ambitious Vision of the future of fertiliser industry in Europe. It is aimed at initiating a discussion with stakeholders on the future role of mineral fertiliser industry in Europe. It demonstrates the industry’s commitment to developing in line with Europe’s ambitions as well as outlines the need for a relevant policy framework which will allow turning this vision into a reality. 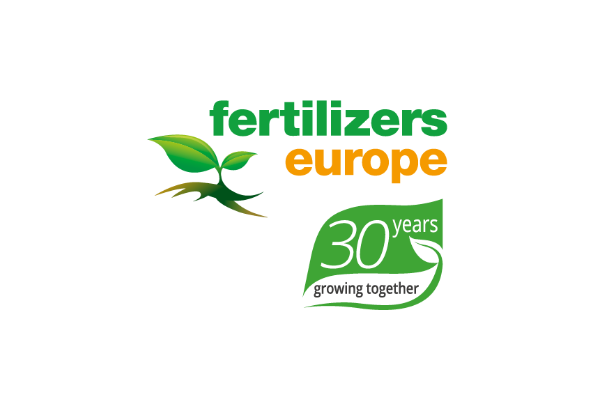 European mineral fertiliser producers operate in a global market. Ensuring a level playing field on fertiliser, energy and carbon cost must be the first priority. As the European Commission is moving ahead with its plans to decarbonise EU economy, it is essential that policies put forward include cost-effective solutions. This applies for example to the potential role ammonia could play in decarbonisation efforts, through support for research and pilot projects as well as the implementation of necessary standards for energy infrastructure and transportation. While the fertiliser industry is already recycling a wide range of by-products and uses surplus energy and raw materials that derive from other production processes, the full potential of the circular economy and industrial symbiosis is far from being reached. New policies and R&D&I programmes should incentivise further progress in promoting circular thinking to ensure further optimisation of resource use, closing material loops and as a result, minimise environmental impacts. To conclude, the Vision of the evolution of the mineral fertiliser industry illustrated in this report is very ambitious. It requires commitment from both industry leaders and policy-makers, allowing the European mineral fertiliser industry to evolve in line with the EU’s ambitions, thus helping address several societal challenges while retaining industry’s economic viability globally.